Rated as one of the best hover lawn mowers, the Flymo Hover Vac 280 is a versatile mower designed for small to medium size gardens. This mower is part of Flymo’s hover mowers that are designed for the British market. 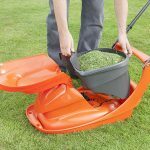 Flymo Hover Mower – What’s in the Box? 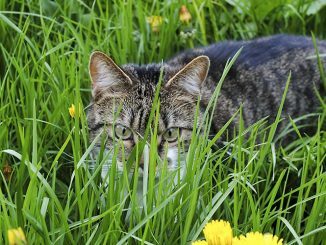 Having a well-manicured lawn is one of Britain’s silent rules. For decades, Brits have used lawn mowers to manicure their gardens. 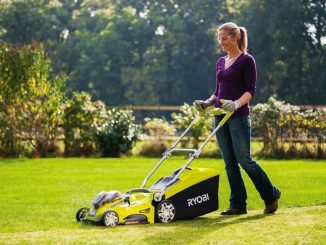 Lawnmowers have evolved from heavy machines to lightweight and easy to use machines. You can find over 300 previous lawn mower models at the British Lawnmower Museum. Yes, Britain has a lawnmower museum! 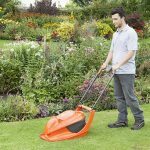 The Flymo Hover Vac 280 mower is a modern machine that is designed for small to mid-sized gardens. Instead of sitting on wheels like traditional mowers, a hover mower sits on an air cushion between the grass and the mower. Because of this “floating” capability, this mower is ideal for an irregular shaped lawn. All Flymo Hover lawn mowers are designed to be lightweight and the Hover Vac 280 is no exception. This mower weighs 8.8 kg. 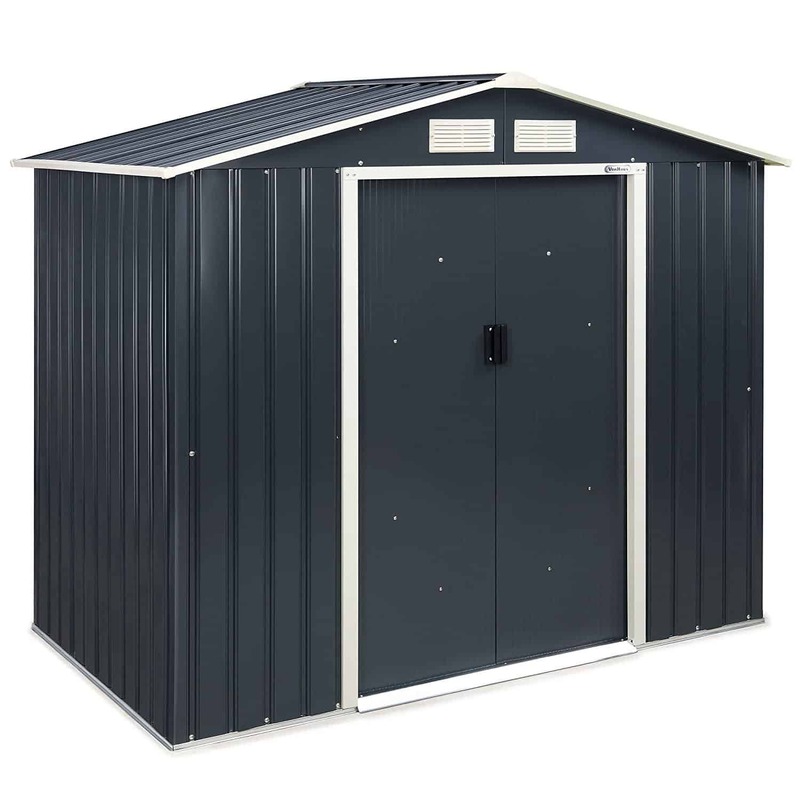 This allows for easy storage and transportation. The exterior features a stylish design with an orange finish. The Hover Vac 280 features a 28cm metallic cutting blade that in tandem with a powerful 1300 V motor. This steel blade allows for quick and easy cutting. The cutting height can be adjusted to 4 different levels. 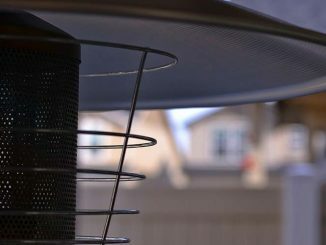 You can change the height by simply adding or removing spacers to the fan. 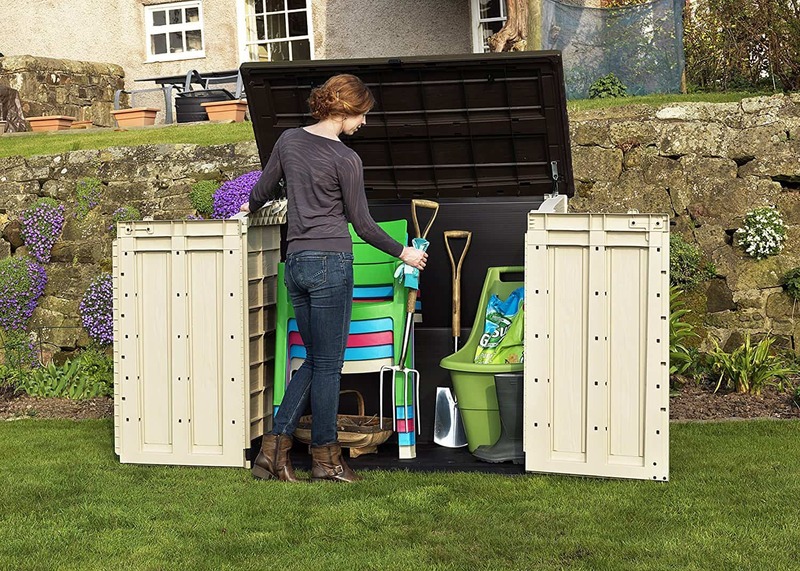 The Vac 280 lawn mower comes with a 20L grass box. This box fits perfectly inside the unit. 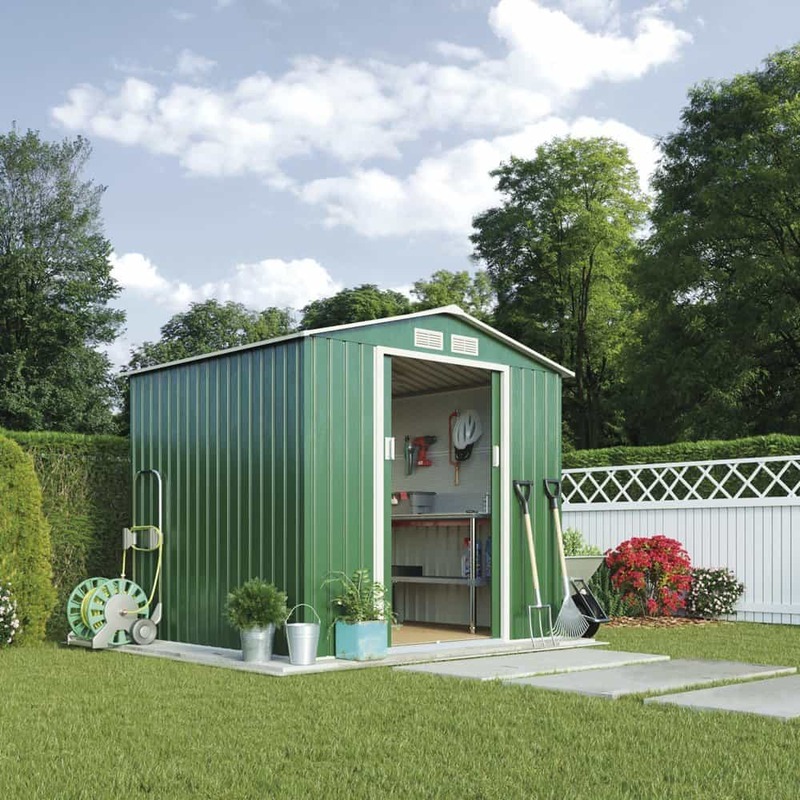 This ingenious design makes it easier to store the mower. Just like other Flymo grass box models, this grass box is incorporated with grass compression technology. This technology enables the unit to compress the grass cuttings, minimizing the number of trips you have to make to the waste bin. However, it is worth noting that this grass box is smaller than other boxes found on other Flymo mower models. For example, the Speedi-Mo 360C comes with a 40L grass box. One of the benefits of having a hover mower is that it allows you to cut along the edge of a garden. This unit comes fully assembled. This means that all you need to do is take it out of the box, pull the handle, and you are good to go. Press the push button to start the unit. The handle features a single hand trigger. This sensitive trigger keeps the unit running and turns it off if you let go. This mower is height adjustable. You can change the mower’s height by adding or removing spacers. The mower comes with three spacers and each spacer measures 2 cm. Be careful not to touch the sharp blade as you change the spacers. 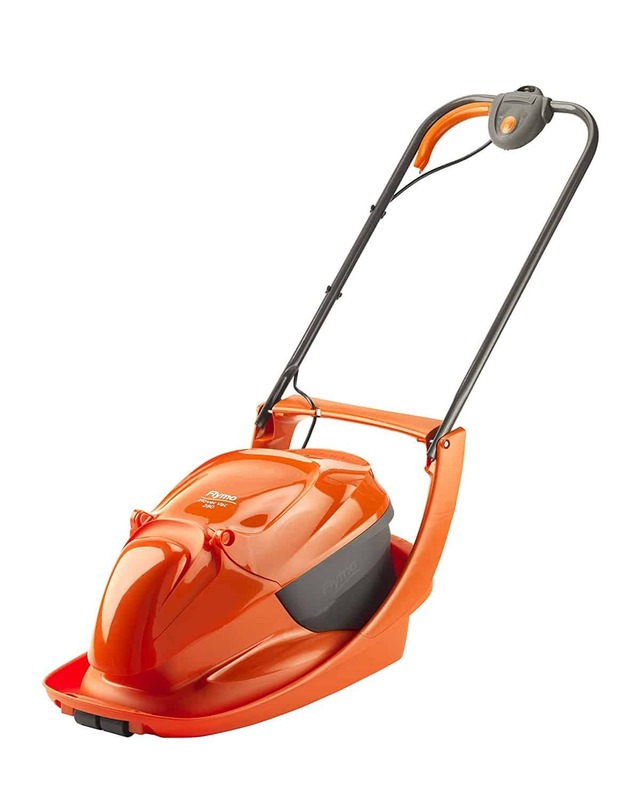 The blade measures 28cm and cuts grass efficiently and evenly. When the blade reaches its end of life, make sure to purchase an original blade from Flymo. All the cut grass is sucked into the 20L plastic grass box. Users have commented that they did not have to rake after using the Flymo Hover Vac 280 mower. To empty the box, lift the Hover Vac 280’s lid, remove the grass box and empty it. Simple, right? 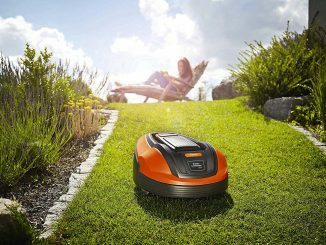 The floating mechanism allows you to cut grass while moving in a straight line or while moving it from side to side. Unlike mowers with rollers or wheels, this unit is easy to maintain. All have to do is clean it with a wet cloth and store it. 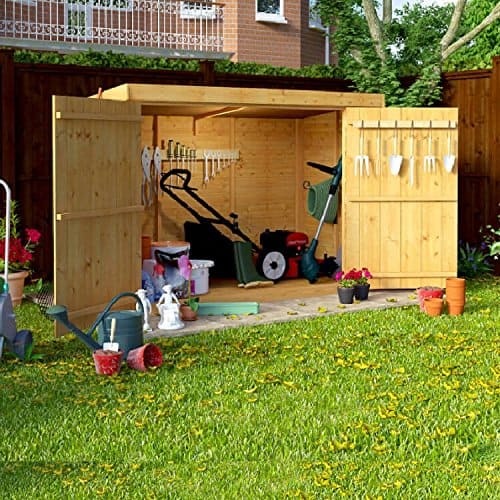 For easy storage, fold down the telescopic handles and store the unit in the gas cupboard or on a shelf in your shed. What makes the Flymo Hover Vac 280 hover better than other mowers in its price bracket? Why should this mower make it to your shortlist? You ought to consider this unit because it comes from Flymo. 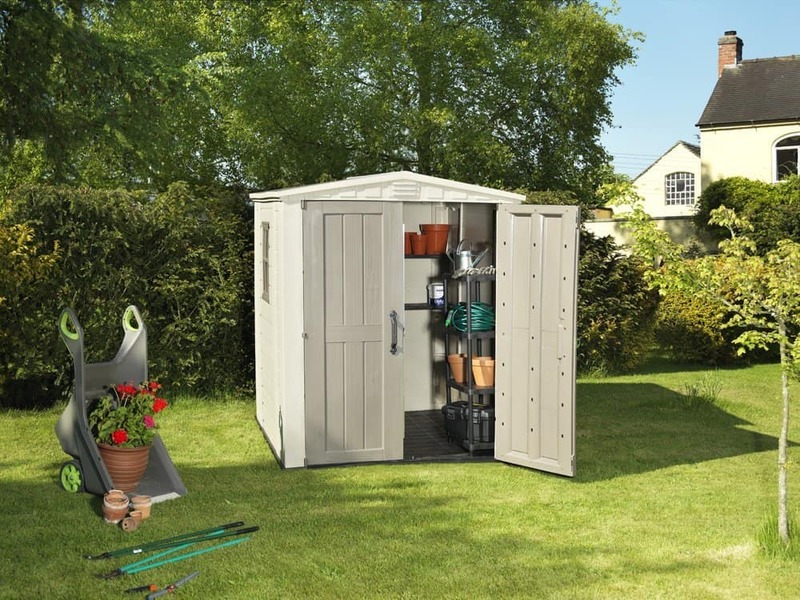 This company has operated in Britain for more than 50 years, providing versatile tools to meet Britain’s gardening needs. This mower is one of the best hover mowers on the market. It has consistently received 5-star ratings from users. This is because it is small, lightweight, and easy to use. Users have commented that it is one of the most affordable mowers in Britain. The Hover Vac 280 uses electricity to run. The good news is that the handle trigger helps save on power consumption. Unfortunately, most users have found the 10 metres cable to be a bit short. If you have a large garden, consider adding an extension cable. So does the Hover Vac 280 mower come with a guarantee? Of course, it does. 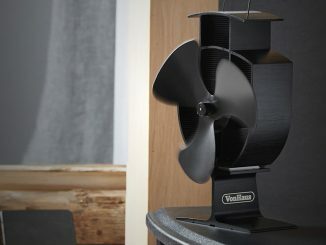 The Vac 280 comes with a 1-year warranty. Immediately you realize your product is faulty, take it to a Flymo authorised repairer. 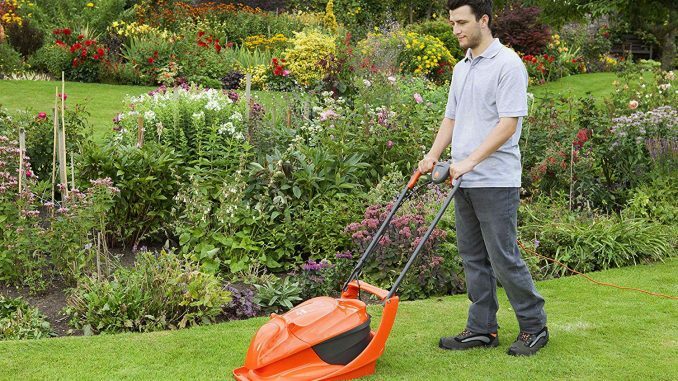 This lawn mower is a must-have for any homeowner with a small to medium size garden. There are various mower models on the market and choosing the best lawn mower is not easy. However, you can always turn to a trusted brand. 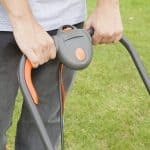 Flymo has manufactured robust gardening tools for more than 50 years. The Hover Vac 280 is a lightweight mower that cuts grass perfectly and is ideal for small to mid-size lawns. With this mower, your lawn will always look its best. The Flymo Hover Vac 280 Electric Hover Collect Lawn Mower is one of the best-priced lawnmowers on the market today. With a great range of features and price point, it is one of our best picks.